Our people are critical to our service. When it comes to your personal financial matters we ensure that we have the very best people looking after you. Our advisers, accountants and administrators are selected from the industry’s best, all with proven track records of excellence in financial management and customer service. As part of the nature of our service we get to know you and your family personally over many years. The feedback that we receive from our clients is that we are highly responsive to your individual requirements. Our objective is to be your trusted advisers for the long term. Grant has over 20 years experience in the financial services industry. Grant’s expertise has led to significant financial gains for clients through the building of trust. Lisa has extensive experience in the financial services industry since 1995 and has held management positions overseeing teams of financial advisers and administrators. Jillian has over 10 years experience providing financial advice to private clients in senior financial advising and paraplanning roles. Keersten has extensive Accounting and Self Managed Superannuation (SMSF) Accounting experience, and is responsible for the efficient and compliant delivery of fund administration for our high net worth clients. Taueva has extensive experience in the financial services sector spanning over 20 years. Previous roles include administration management, client support, compliance, and regulatory analysis for major fund managers and insurers in Australia and the UK. 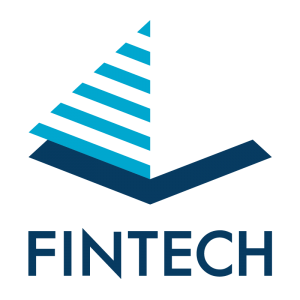 Taueva is a trustworthy, reliable and skilled professional, who is highly valued as part of the Fintech team. Mike is a specialist Life Risk Management Business adviser. SME Wealth Protection works collaboratively with Fintech Financial Services and focusses on the Protection and Preservation of the Wealth being created by SME’s, Professionals, Senior Managers and Executives. In the end, it’s all about people and helping everyone achieve their financial objectives to live a better life. Customer experience is important to us and we will always work with you to help provide the best advice to manage your financial life. We’re always on the look out for well-qualified, personable finance professionals of real integrity to become part of the Fintech team. Vacancies are rare, but we would certainly love to hear from you if you have a passion for helping people achieve financial empowerment through high-quality, responsible financial advice.